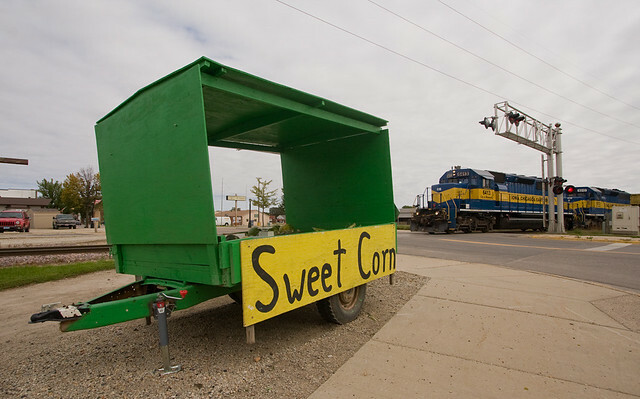 Sweet Corn; Waseca, MN | Flickr - Photo Sharing! In the Real America you can still buy vegetables from a local vendor on the honor system from a self-service trailer that isn't locked or bolted down. The train is CP 573. This image was featured in Railroad Heritage. Not to mention the dog kennels for aluminum cans, do not have to leave the city to far behind before they show up. Nice shot! Good to hear this story.